Encore: Bringing back some of the hottest documentaries for an encore presentation. With over a billion cars worldwide, climate change and never-ending gridlock are a grim reality, but can we change our cities? Director Fredrik Gertten (Big Boys Gone Bananas! *) investigates the daily drama of traffic worldwide and the bicycle as a tool for change. Travelling from São Paulo, Los Angeles and Toronto, where cyclists fight daily for their right to the road, to Copenhagen, where forty percent of the population commutes by bike, Gertten meets activists and thinkers who are working for revolutionary changes. 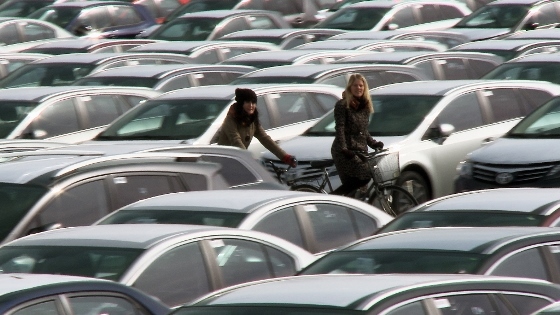 Beautifully crafted, Bikes vs Cars is an intimate and powerful look at how to move away from car-centric models and toward livable cities. In English, Portuguese, Spanish, with English subtitles.